The Lady Okie: The Perfect Father's Day Present... Baby Bum is Here! The Perfect Father's Day Present... Baby Bum is Here! The most perfect Father's Day present arrived at 9:28 a.m. on Sunday, June 18. J weighed in at 8 lbs 3 oz, 20.5 inches long. He passed all his tests and got a good report at his first pediatrician's visit. We are home and feeling so thankful. Praise God for this tiny blessing. Eek! What a special day to be born. Congrats! SO EXCITED FOR YOU! He is so precious!! Can't wait to read the birth story! Oh my goodness!! He is absolutely precious! :) I am so so happy for you and your family. Congratulations lady, he is beautiful! So happy for you all!! He looks adorable. I hope all went well with the delivery and you are home enjoying being the mother of two. Wow!! He's so perfect, right down to that button nose and the J beanie. So happy for you guys and Happy Father's Day Jordan! Summer vacation - woo woo! Yaaaaaaaaay for a healthy, happy, arrived-at-the-perfect-time baby boy!! Congratulations, Amanda!! Ahhhhhhh!!! What a handsome little man! Congratulations!!!! Congratulations to your whole family!!!! What a special Father's Day! Aww, I love that he arrived on Father's Day. What a cutie! Congrats! Woohoo!!!! He's beautiful. Congratulations! I hope that you're getting some good rest and recovery! So excited that he's here! (But probably not as excited as you are not to be pregnant anymore.) He's an adorable little guy. he is SO. CUTE. arghhhh, why do babies give me all the feels??? I have an 8 month old, I should be satisfied haha. Congratulations!!! 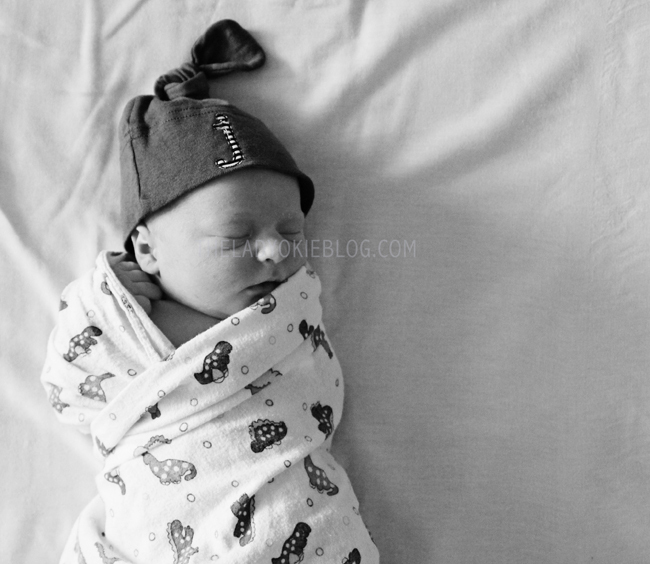 What a timely arrival--he's so cute and sweet and I hope you all have so much fun getting to know him! I've been following along on instagram and he is seriously SO cute! Congrats to your family!! The perfect Father's Day present + being born on a weekend like his father requested! Ha!